In 2009 the gaming world was surprised by Rocksteady Studio’s Batman: Arkham Asylum, quite possibly the first game themed around the dark knight’s exploits to be loved on a mass scale; and for many, it was the best thing released that year. It’s a big ask to try and not only recreate that level of success but surpass it, but Rocksteady are back with the direct sequel to try. 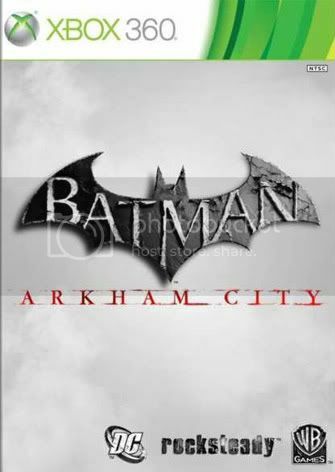 Set a year after the events of Arkham Asylum, things are still not going well for Gotham City. The slums of the city have been walled off and turned into one large prison in which former asylum inmates and criminals are left to bicker amongst themselves under the watchful eye of Hugo Strange and his Tyger security force. 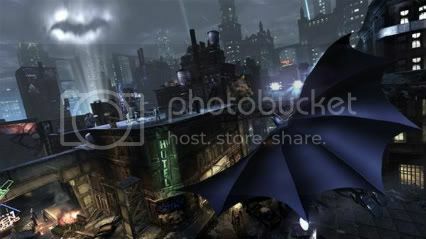 The game begins with Bruce Wayne attempting to seek the closure of Arkham City through political means, which results in his unlawful incarceration within its walls. Becoming Batman, he then sets about righting all the wrongs of the prison in a large free-roaming area dealing with past villains (and plenty of new ones along the way) while the Joker plots in his funhouse and Strange levies the fact he knows Batman’s true identity. 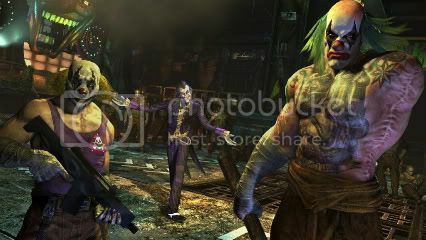 While it certainly pays off to have played Arkham Asylum, it is not a necessity to get into or enjoy the game. Interest or vague knowledge of the source material certainly helps though as Rocksteady constantly dangle references or nods or even direct links to plots from some of the best known comic book storylines that fans will greatly appreciate. The free flowing combat system returns which balances counters, evades and strikes with brutal take-downs for when stealth is not an option. While it can be a little tricky to get to grips with for beginners, a few brawls down the line you will be raking up combos with deadly proficiency and shrugging when the game throws you up against a room with fifteen or more opponents. It can be strangely addictive to find brawls to get into around the city, simply because of how free it feels for what is essentially at its core a more complicated button mashing system. Equally addictive is the returning stealth element. The game balances out areas where you are fighting off dozens of unarmed opponents with areas where going loud will just get you quickly gunned down. In a move which far more sequels should follow, Rocksteady also grants the player most of the gadgets Batman ended the first game with giving you variety to tackle each situation with from the get go. There is still a levelling system to unlock the more complex take-downs or upgraded armour and new gadgets, with most actions rewarding the player as they progress. It can be a little daunting grappling and gliding around the city as along with the reasonably lengthy main storyline, there are numerous multi-part side quests and literally hundreds of Riddler puzzles and riddles to solve. You aren’t forced to do any of the side content, it’s all just there to distract you as you go. It’s very hard to ignore, but at the same time seeing where the story will go next remains a powerful draw and culminates in perhaps the first example of a conclusion that will elicit sympathy for someone with absolutely no redeeming qualities whatsoever. A sticking point in Arkham Asylum was the Detective Vision mode which let the player see through walls, and also identified threats and points of interest. It was simply too good and resulted in having it on nearly all the time which meant the impressive scenery was a constant flushed pale blue. For some the same may be said for Arkham City and some players will find themselves rarely turning it off except for brawls. Music and most of the voice acting are exceptionally high standard. Kevin Conroy puts in yet another great performance as Batman and Mark Hamill’s Joker is unmatched. Corey Burton’s Strange is suitably sinister and Troy Baker’s Two-Face decent enough. In an amazing achievement, Nolan North has found a different voice he can make when voicing a game character and lends it to Penguin which is to be applauded – at least until you find he lazily uses his only other voice for most of the random thugs you will be beating up. The game also allows first hand purchasers (or second-hand if they buy the pass) to play four fairly short sections as Catwoman with her story running into Batman’s at numerous points. These little asides offer yet another story the city has to tell, and give a bit of variety as her gadgets and movements are unique to her and upon finishing the game you can actively switch between them both to collect her own series of Riddler trophies. The game isn’t without some faults though. Enemies still glide instantly along the floor to strike you if they are upright while you attempt a ground take down, loading checkpoints is overly long even with an install, there appears to be one rather large plot hole, and we experienced very occasional sound hiccups. These are all small criticisms though. 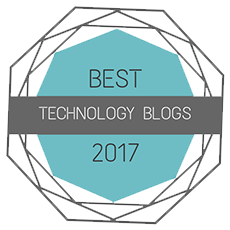 It was never going to be easy following on from such a huge success but, for the most part, Rocksteady have achieved it. Even ignoring all the content in the main campaign there are dozens of challenge maps, predator maps and mini-campaigns to tackle with numerous characters as well as hundreds of unlockables (concept art, figures, back-story, etc.) making it one of the fullest games on offer in recent times that will give fans everything they want, and has enough solid core mechanics and content to appeal to almost everyone else. 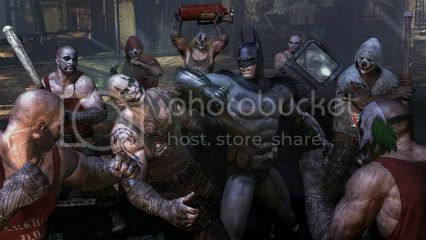 Arkham City is a credible contender for game of the year.